So the Wirral Way has been renamed. It has to be Chiffchaff Alley. Ther are so many of them it is as if they are stalking you as you wander the hedgerows. I have developed a real soft spot for them over the last couple of weeks. On my morning and evening commutes along the old railway line they seem to have become one of the fixtures and fittings. If you can't see one flitting along the sprouting branches then you can usually hear one, metronomic but charming. 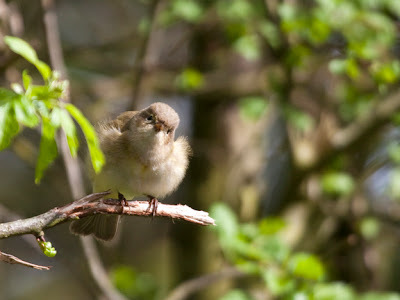 I have taken the chance to record these little leaf warblers as I wander in and out of work. As the Wirral Way is busy they have become quite tolerant of people so they are happy to continue their daily routine as you pass by. This has allowed me to amass quite a collection of Chiffchaff images over recent days. I have loved watching them hopping thriugh the twigs in search of food. They certainly live up to their name as leaf watchers. 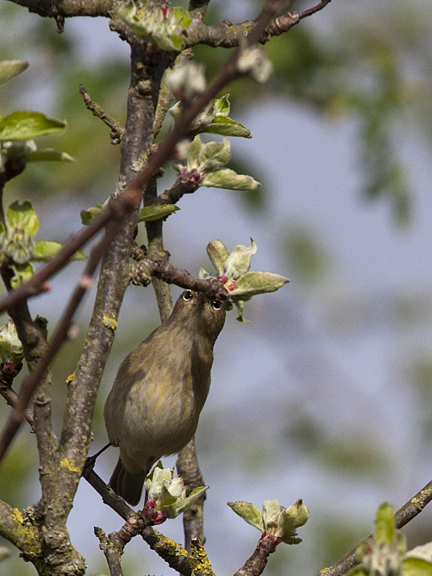 They have remarkably sharp eyes, finding and picking insect prey from the buds of the trees. I counted the demise of 7 flies in just one minute a few days back. They will come quite close, one came so close to inspect me that the camera would not focus on it! Instead I just watched as it eyed me up, decided I was of little consequence and resumed feeding. It flew a few feet further down the path allowing me to get my pictures. 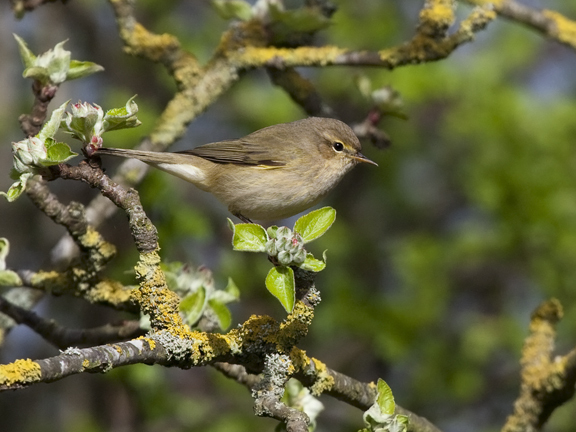 As I leave the victorious Chiffchaff in his territory I don't have to travel long before I find another. This gets me thinking. How many Chiffchaffs are ther along the Wirral Way? Brace yourselves, mathematics coming up! I have counted 12 different singing birds between West Kirby and the Dungeon footpath. I have seen reports on the Dee Estuary website of 8 along the Heswall stretch and 9 between Parkgate and Neston. This is 29 birds over a combined distance of 9.5 miles. 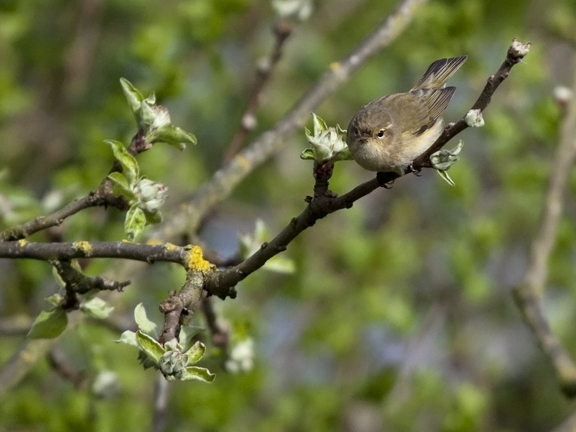 This equals 3.05 Chiffchaffs per mile. We have no data from Neston to Hooton where the Wirral Way terminates, but we can assume that as the habitat is fairly constant that there would be 3.05 birds per mile along this section, adding another 7.62 birds to the total. 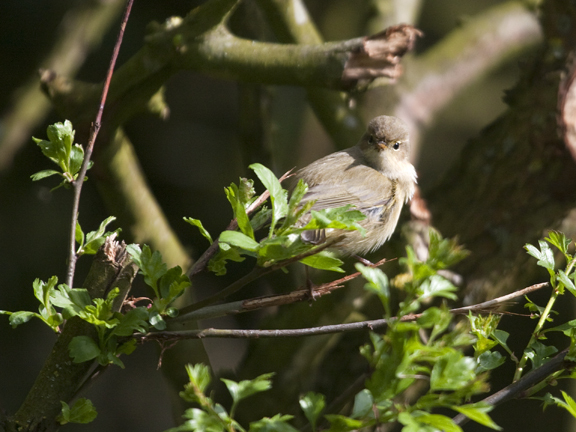 This gives us a final total of 36.62 Chiffchaffs along the Wirral Way. 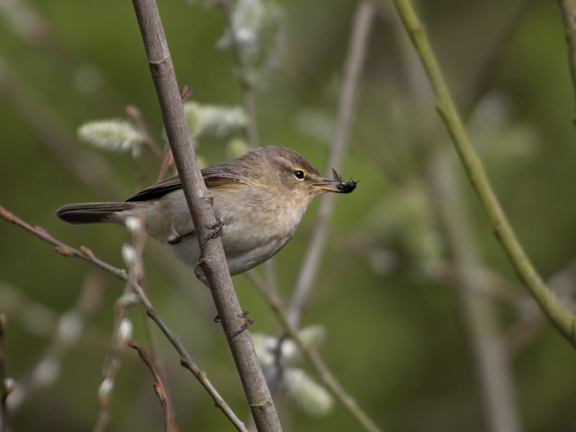 We can round this up to 37 as encountering 0.62 of a Chiffchaff is a little unlikely! 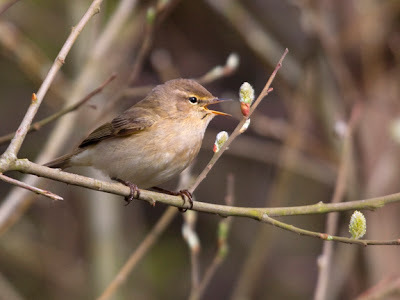 I'll be back out in the morning, along Chiffchaff Alley.